If you are unable to pay your tax debts, you can in appropriate cases ask SARS for a compromise agreement. How? The recent high profile case of taxpayer Julius Malema, which has been the subject of much media attention and public announcements by both Mr. Malema and SARS, is a perfect illustration. Mr. Malema had not submitted a tax return since 2010 and when he did was assessed by SARS for R16 million. When he failed to pay the assessment, SARS began sequestration proceedings against him. A provisional sequestration order was granted. During the course of this process, it emerged that the taxpayer did not have the financial resources to repay the assessment. SARS then entered into a compromise arrangement with him. The details are confidential (in terms of Income Tax law) but what we do know from the public announcements made by both parties is that he was granted a postponement on the SARS provisional sequestration order and given time to settle the negotiated amount owed. How did that all come about? In 2012 a new Tax Administration Act came into being. It improved the process of resolving disputes between taxpayers and SARS. There is now a set down step-by-step process whereby the taxpayer may object to an assessment and whereby it can be escalated up to the courts. The Act also allows SARS to settle disputes and to enter into a compromise or to write off a tax debt. This comes at the request of the debtor (taxpayer) who cannot afford to settle the amount owed to SARS. The taxpayer needs to set out why the amount owed cannot be paid. The debtor also needs to give a comprehensive statement of assets and liabilities plus a three year projection of taxpayer income. There must also be an undertaking to bring his/her tax affairs up to date. Finally, the taxpayer needs to drop any outstanding objections and accept that the assessment is correct. A “Senior Official” at SARS may enter into a compromise agreement, if this is in the best interests of SARS. In deciding this, many factors are taken into account such as the cost and likely recovery of a sequestration process (remember creditors can end up paying a contribution into insolvent estates), the situation and future prospects of the taxpayer and whether a compromise agreement will encourage “good management of the tax system and administrative efficiency”. Should the taxpayer supply incorrect information or not make material disclosures or not fulfil the compromise agreement, then SARS may set the agreement aside. What happens if you breach the terms of the compromise? Again, Mr. Malema’s case illustrates. SARS has a High Court ruling of a provisional sequestration order against him. Should he not fulfil his obligations, SARS have confirmed they will pursue the sequestration process. There is also an agreement that his 2011 and 2012 returns will be finalised – this could lead to further amounts owed to Revenue. In 1776, the Netherlands had four times the per capita income of the poorest countries. By 1980, this had grown to forty times for China and twenty four times for India. Economists explain this divergence by the Scrabble analogy. If you have more letters than your opponents, you are bound to do better as you can make more words than them. From 1776, there was an explosion of new knowledge in Western Europe and the United States which was harnessed to drive Western economies. Staying with the Scrabble analogy, if you substitute words for knowledge, then you can begin to understand why rich counties got richer. An interesting twist to this theory is that since 1980, many poor countries have bucked this trend and have substantially narrowed the gap with the West – per capita income is now only four times higher in the Netherlands versus China. This has been put down to globalisation and the splitting of supply chains. 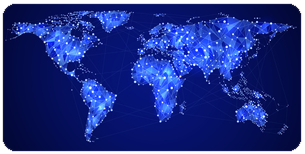 For example, a computer is now made in several different countries – one may make components for the hard drive, one will develop software and so on down the supply chain. This has dramatic consequences for poorer countries. Instead of designing and manufacturing a computer, they can focus on one aspect of a computer. Thus, instead of needing letters they don’t have (to go back to Scrabble), they only need one letter or two letters. Thus, countries like South Korea have leveraged on these one or two words to create more skills (education, design) and from there have moved into global brands like cars (Kia) and electronics (Samsung). In effect, they have leapfrogged from poor country to first world country. South Korea in the early 1960’s was ranked with many African countries but now is a first world economy. This has cast doubt on the model accepted in the 1960s (before globalisation took off) that the best way to develop was via building up a manufacturing industry using tariffs to protect local industry until it became competitive. This now has many drawbacks such as tariff protection can keep international technology out of your economy but even worse, it becomes too expensive to join the global supply chain. Another drawback is because an industry is being protected, it may never become internationally competitive. Many third world countries rail against globalisation, but if they stopped to think, they could put the building blocks in place to model themselves on South Korea or China. It is interesting that countries accepting globalisation have outperformed those who stick to the old philosophy of local manufacture and protectionism. SARS has extended its ability to query, interrogate and find out about our tax matters. What isn't so well known is that these powers are rapidly extending across the globe. South Africa has signed multilateral and bilateral taxation agreements with over 60 nations (and counting). This is part of a global trend as countries seek to maximise the tax revenues due to them by fighting tax evasion and avoidance across international borders. In South Africa, SARS can gather information from taxpayers to ensure compliance. It can also obtain information from third parties. It can compel third parties who owe a taxpayer (or who hold assets for a taxpayer) to pay SARS for tax liabilities unpaid by the taxpayer. SARS can aggressively pursue legal avenues to recover tax liabilities. Getting the assistance of foreign courts to collect tax debts owed to SARS. These agreements work in both directions – for example South Africa will automatically hand over data on interest earned by United States taxpayers in South Africa and the US will reciprocate with information on South African taxpayers. South African courts recently froze South African assets of an Australian taxpayer who owed Australian tax authorities R235 million. An English court gave English tax authorities permission to collect tax debts owed in South Africa. As the net closes, local taxpayers with undeclared offshore assets should consider entering the Voluntary Disclosure Programme with SARS to get their tax affairs in order. Speak to your accountant! Suspension of their business or driver’s licence. We have an active criminal class out there and it is probably just a matter of time before this scam comes to South Africa. If you get a suspicious call like this hang up and report it to SARS. SARS has introduced a new webpage to help taxpayers. It locates the nearest branch and also provides taxpayers with information on how many people are in the queue and the average time it is taking to deal with a query. “Best times to queue” is at the bottom of the page. There is also useful information included on the branch such as languages spoken, services offered, contact numbers and office hours. Finally, you can get directions to the SARS branch. Although South Africa is slipping down in the rankings, the auditing and reporting standards section once again ranks South Africa as the best in the world. This is the fifth straight year of being the number one ranked country. As the tennis ace Pete Sampras used to say: “A good player can win Wimbledon but only a great player wins it again”. We can stand very proud here as this award has repeatedly gone to South Africa. Due to the large number of unqualified tax practitioners, SARS has insisted on a new registration process. 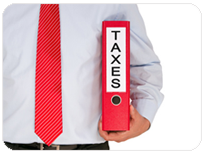 Tax practitioners are now required to be registered with a recognised controlling body (such as SAICA) and with SARS. Recognised tax practitioners have been given a new number by SARS. Practitioners who have not been given a new number will no longer be helped by SARS or be allowed to file returns on behalf of their clients. If you use a tax practitioner make sure he/she has a new tax practitioner SARS registration number. We have 11 Nobel laureates. This is more than Spain, Mexico, Argentina, China and India. The United States leads with more than 300 winners. South Africa has the 25th largest economy in the world. As many say, the country punches above its weight. The Employer Interim Reconciliation (1 March to 31 August) is due by the end of October. If you use e-Filing, SARS have improved this process to make it easier for taxpayers.